Trip to Aberdeen today to watch the Dons take on Hibs. A decent game spoilt by a hopelessly incompetent set of officials. While I was at the football B went off to watch the dolphins playing in Aberdeen harbour. 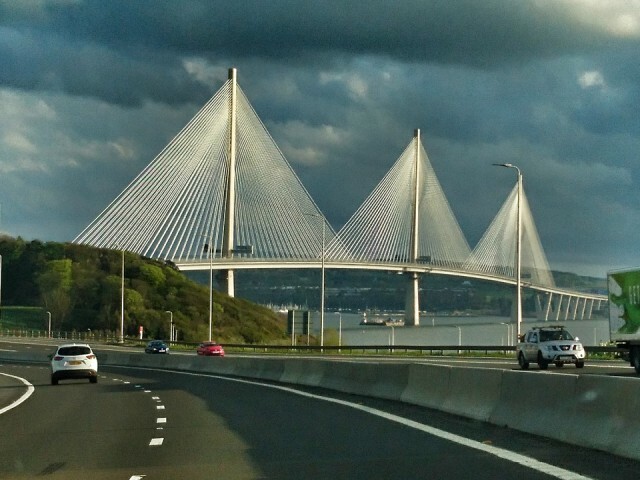 The sun was shining on the Queensferry Crossing. Such a great sight on the trip home.